Derwent Bridge is a locality on the Lyell Highway at the southern edge of the Cradle Mountain-Lake St Clair National Park.It is just south of Lake St Clair and the Lake St Clair visitor centre; and it is north of Lake King William and the Butlers Gorge Power Station.It is also the last inhabited location before Linda Valley in the West Coast Range - this section of the highway passes through the Wild Rivers National Park. To find traveler tips, maps, ratings, and more tourist information, you can read our Derwent Bridge day trip website . Sydney to Derwent Bridge is an approximately 6.5-hour flight. You can also drive. Finish your sightseeing early on the 1st (Sat) to allow enough time to travel to Hobart. On the 2nd (Sun), give your taste buds a day to remember with a local gastronomic tour. On the 5th (Wed), spend an adventurous day with a kayaking and canoeing tour. 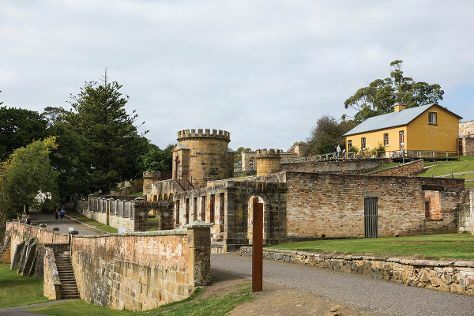 The adventure continues: take in nature's colorful creations at Royal Tasmanian Botanical Gardens, get to know the fascinating history of Battery Point Sculpture Trail, steep yourself in history at Cascades Female Factory Historic Site, and get curious at Tasmanian Museum and Art Gallery. To see where to stay, maps, ratings, and tourist information, go to the Hobart trip planner . You can drive from Derwent Bridge to Hobart in 2.5 hours. In February, daytime highs in Hobart are 26°C, while nighttime lows are 14°C. Finish your sightseeing early on the 8th (Sat) so you can drive to Port Arthur. Explore the numerous day-trip ideas around Port Arthur: Eaglehawk Neck (Tasman Arch & Fortescue Bay). To find maps, ratings, photos, and other tourist information, go to the Port Arthur visit planning app . You can drive from Hobart to Port Arthur in 1.5 hours. Alternatively, you can take a bus. In February, daytime highs in Port Arthur are 26°C, while nighttime lows are 14°C. Wrap up your sightseeing on the 13th (Thu) early enough to travel to South Bruny. 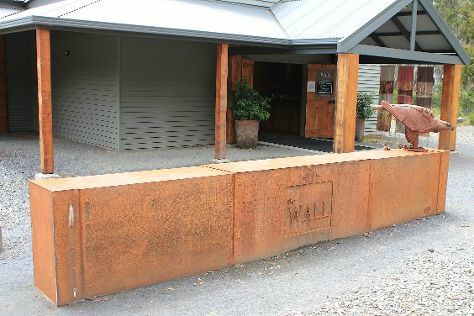 Start off your visit on the 14th (Fri): visit a coastal fixture at Cape Bruny Lighthouse, then learn about winemaking at Bruny Island Premium Wines, then look for gifts at Bruny Island Honey, and finally make a trip to The Neck. Get ready for a full day of sightseeing on the next day: explore the striking landscape of South Bruny National Park. To see reviews, other places to visit, and tourist information, go to the South Bruny trip builder . Traveling by car from Port Arthur to South Bruny takes 3.5 hours. In February, daily temperatures in South Bruny can reach 26°C, while at night they dip to 14°C. Finish your sightseeing early on the 15th (Sat) so you can travel back home.